Mexico placed second in the number of homicides among countries considered to be in armed conflict, according to a report from the International Institute for Strategic Studies — but a number of observers and Mexico itself have disputed the report’s assertions. “Mexico is a conflict marked by the absence of artillery, tanks or combat aviation,” IISS director general John Chipman said during the report’s release. 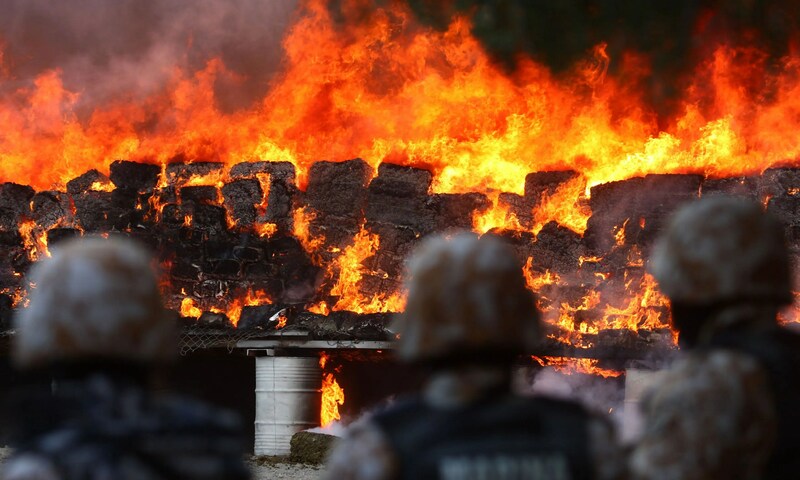 Most killings, he said, took place in Mexican states that are “key battlegrounds for control between competing, increasingly fragmented cartels” that are fighting to secure lucrative trafficking routes. While much of the coverage of Mexico has revolved around the country’s deadly violence, Mexico’s inclusion among states mired in civil conflicts or wars based on political disputes elicited surprise and consternation. The Mexican government, in a statement issued through the foreign and interior ministries, objected on a number of grounds, saying the report “reflects estimates based on uncertain methodologies,” and that the existence of criminal groups and the use of the armed forces to maintain domestic order were “not a sufficient criteria” to speak of armed conflict. A number of analysts also raised issues with the report’s conclusions and the data it considered. One of the main points of contention was how the homicide figures were weighed. The IISS report ranked countries in part by the total number of homicides, rather than by a per capita rate. On a per 100,000 person basis, however, Mexico’s homicide rate — about 17 per 100,000 people in 2016 — appears to be middle of the pack in Latin America — which is admittedly one of the most violent regions in the world. Mexico’s total population, more than 120 million people, vastly outweighs the populations of Syria, Iraq, Afghanistan, and Yemen, which, according to Mexican news site Punto Decimal, have a combined population of 114 million. 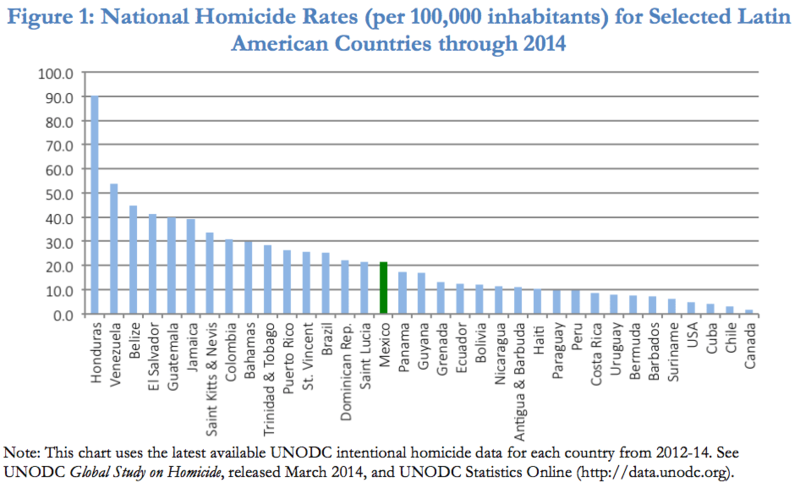 In absolute terms, Mexico’s homicides are comparable to what has been recorded elsewhere in the region. 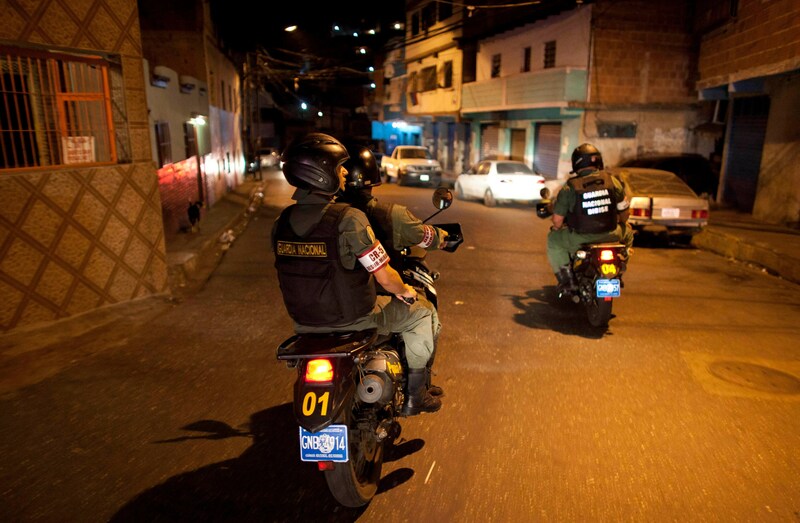 In Venezuela, home to about 30 million people, one nongovernment organization counted more than 28,000 violent deaths in 2016, more than 18,000 of which the government there classified as homicides. In Brazil, where more than 200 million people live, the last several years have seen total homicide counts close to 60,000. Colombia, with about one-third of Mexico’s population, recorded about 12,000 homicides in 2016, its lowest tally in 42 years. The FBI registered 15,700 homicides in the US in 2015. In contrast, El Salvador, one of the world’s most violent countries, had about 6,650 homicides in 2015. 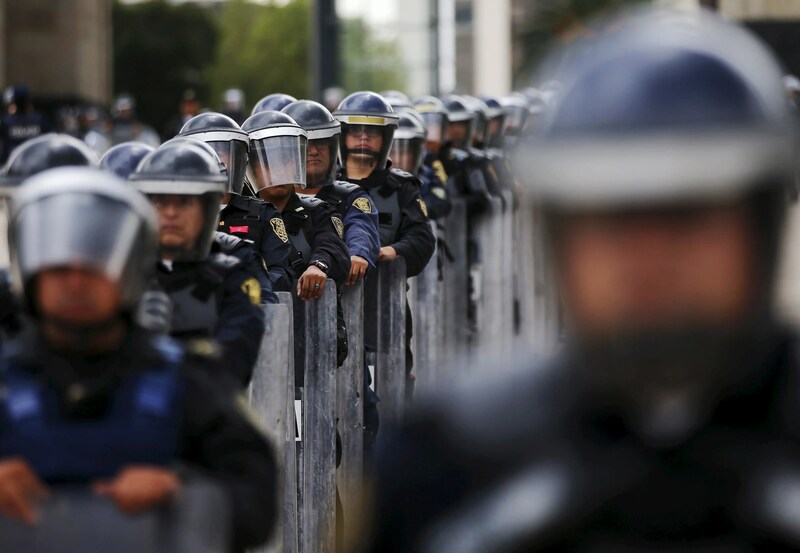 Observers also criticized the IISS report’s apparent inclusion of all of Mexico’s 23,000 homicides — a number reported by Mexico’s Executive Secretary for the National Public Security System — last year as related to organized crime. The SESNSP homicide totals include deaths related to domestic and interpersonal violence and those stemming from common crime, not just deaths related to organized crime. According to the Justice in Mexico project, something like one-third to a half of Mexico’s homicides appear to be related to organized crime. 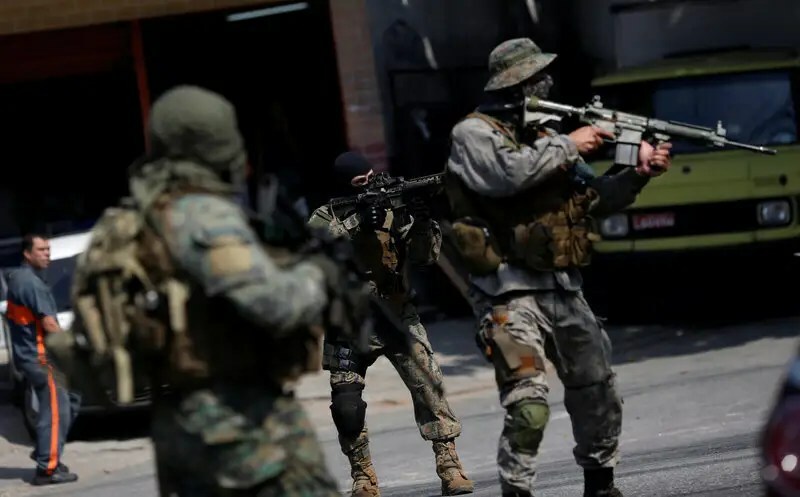 Others noted that the conditions laid out by in IISS’ release — organized groups armed with military-grade weapons fighting for control of territory — likely applied to other countries in the region, such as Brazil, where in some places large armed gangs fight each other and have retaliated against police operations with public violence, and Venezuela, where organized armed groups challenge the state’s control in some areas. The International Institute for Strategic Studies did not immediately reply to a request for comment.